One of the reasons Christmas is the best – the jumpers. I thought I would share a few of my favourites I’ve seen! How cute is this though?! 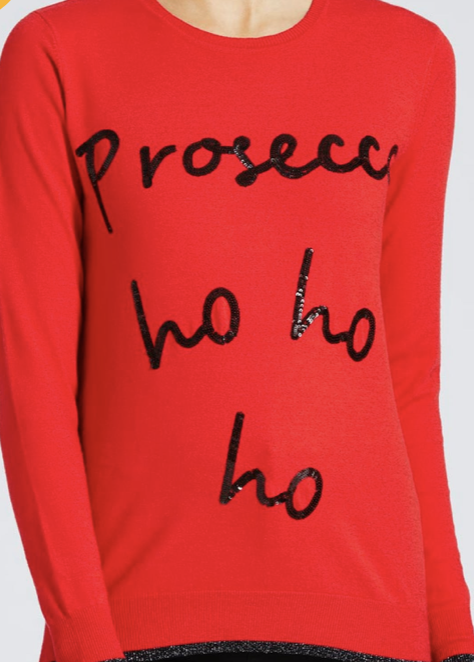 It’s not a too in-your-face Christmas jumper like most are, and isn’t too bulky. You can find this one at BooHoo here! Yet another cute one from BooHoo! 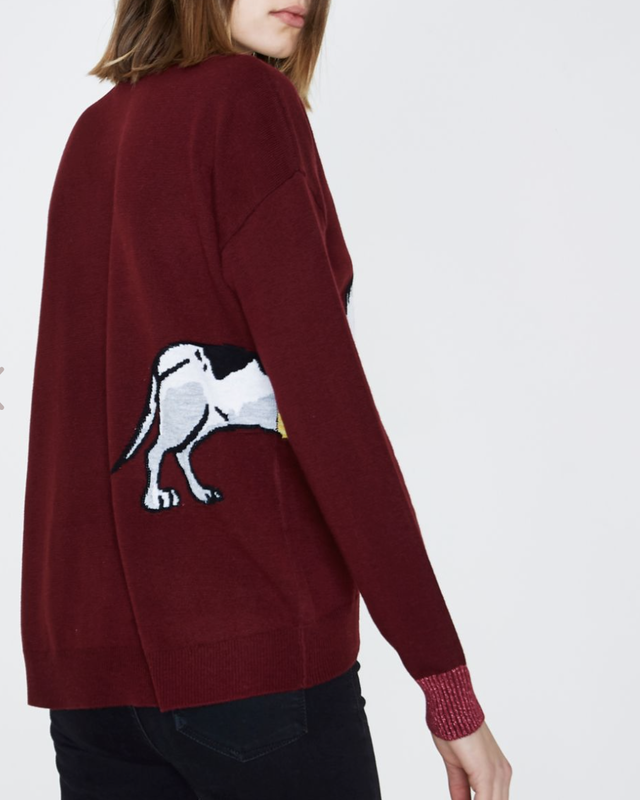 Obsessed with the little Christmas animals on the jumpers at the moment! You can find this one here! 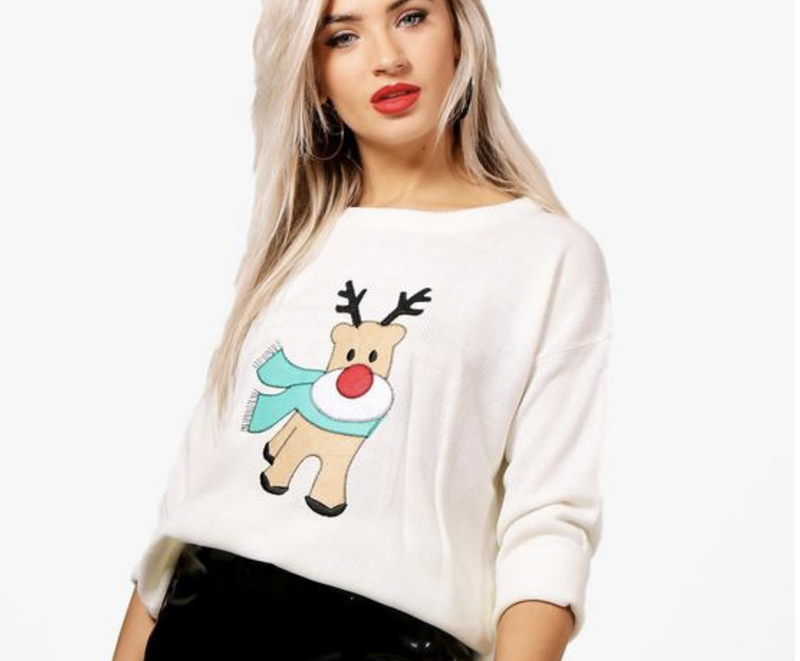 I’ve also just noticed while browsing BooHoo’s Christmas jumpers, they also do doggy ones – as in, jumpers for your dogs. They are definitely getting bought for my pooches this year. As if they couldn’t get any better?! These are a need. (I need to get these for my Mum….) 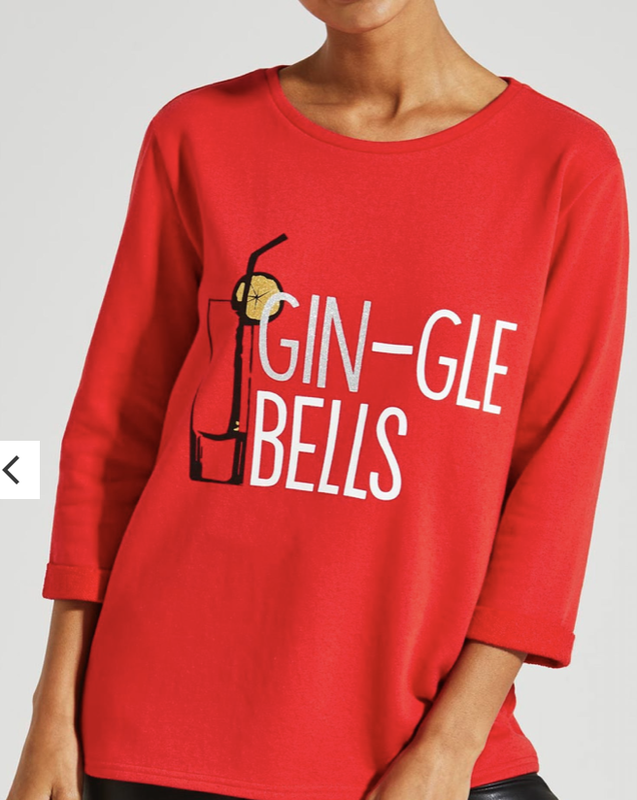 You can find these in Matalan online here and here! The Gin one is only £10?! 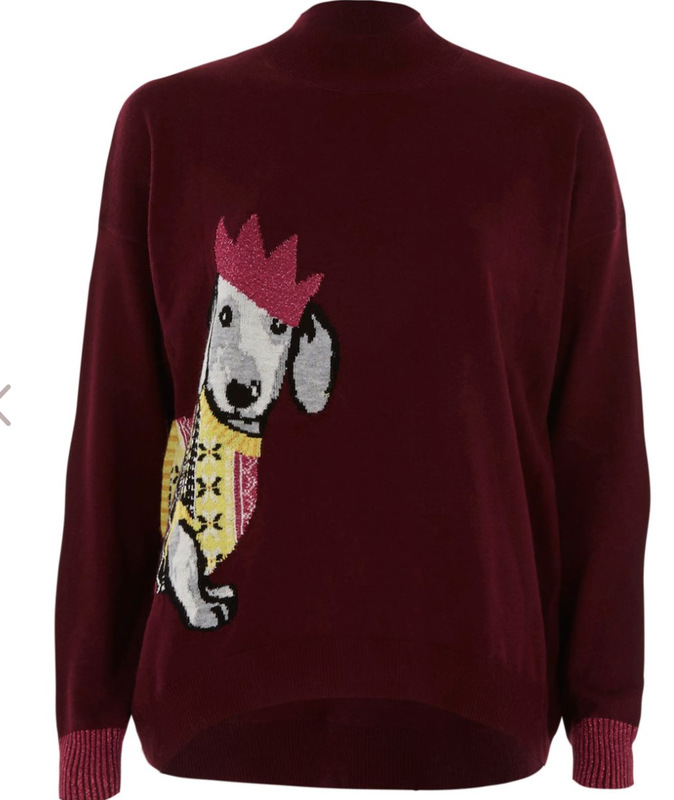 My two favourite things – Christmas and dogs in a jumper! 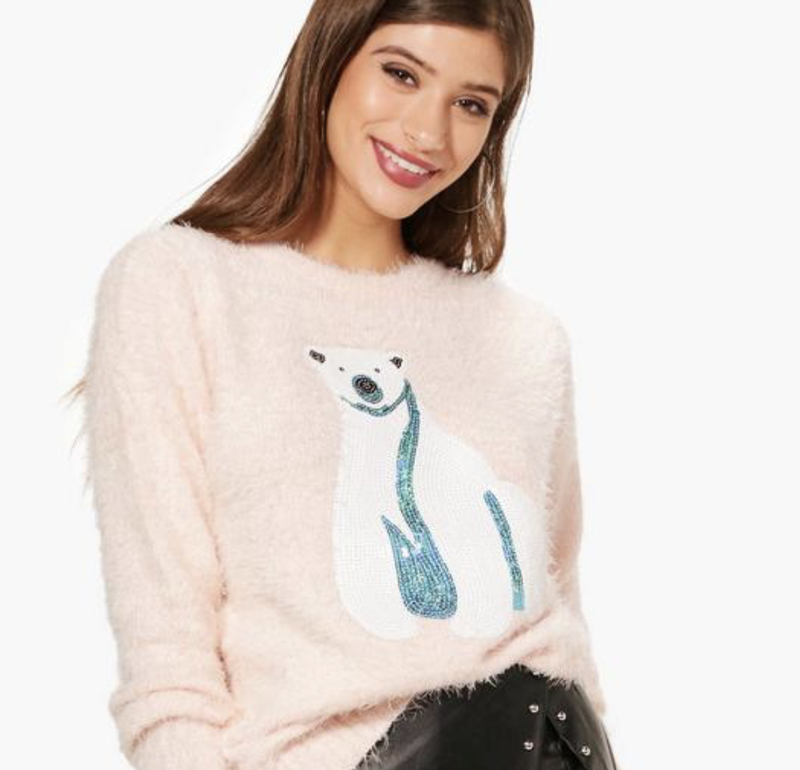 This one is actually the cutest and I would most definitely wear it all year round. This ones a wee bit more on the pricey side at £40 but look at that face… It’s worth it. You can find it here! Ok I’m getting far too carried away with these Christmas jumpers so I think I’m going to have to stop and leave you with them! Theres honestly so many cute ones right now. I will definitely be purchasing a new one this year.